Explanation: Get out your red-blue glasses and float next to the International Space Station (ISS), planet Earth's largest artificial moon. 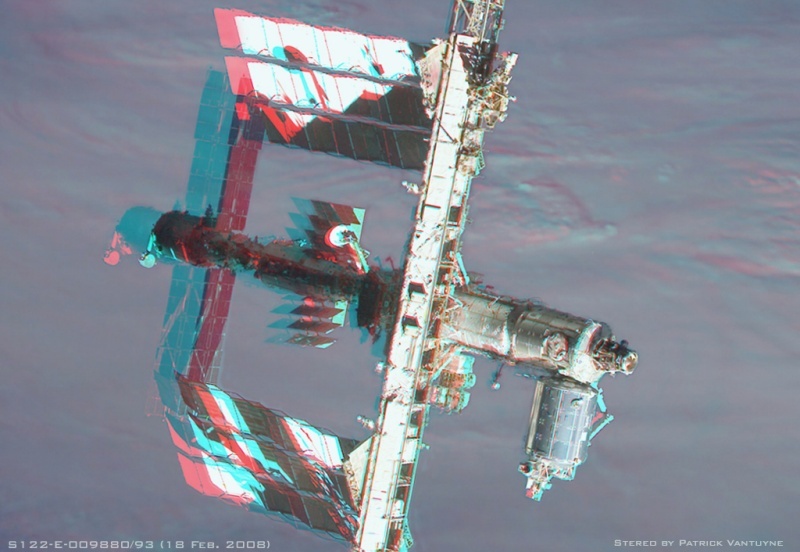 This fun stereo view was constructed from parts of two separate images (S122-E-009880, S122-E-009893) and an additional background recorded as the shuttle orbiter Atlantis undocked from the ISS on February 18. 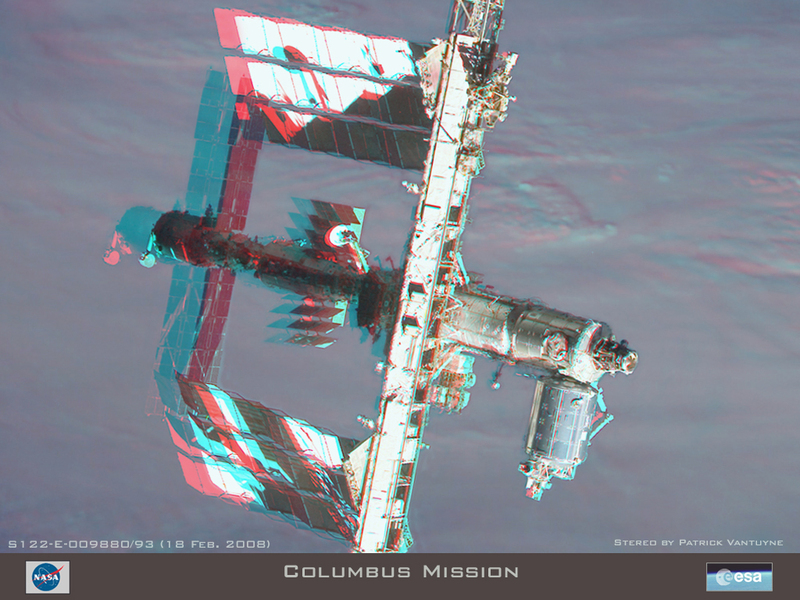 Atlantis and the ISS were traveling over 7,500 meters per second at an altitude of about 350 kilometers. The shiny, 7 meter long module extending from the station at the lower right is ESA's Columbus Laboratory, delivered by Atlantis and installed by spacewalking astronauts. After a successful 13 day mission to the ISS, Atlantis landed at Kennedy Space Center on Wednesday.